Your Dutch lavender is beautiful, a super foliage plant for the time when it isn’t flowering, I also like your Elfin Thyme, does it smell the same? Fantastic berries on your Callicarpa, they are set off by the leaves turning golden, very pretty. Oh yes, glad you asked. I forgot to mention the Elfin Thyme is quite fragrant (unlike the other Thyme next to it in the photo). It should be nice to have along a path. 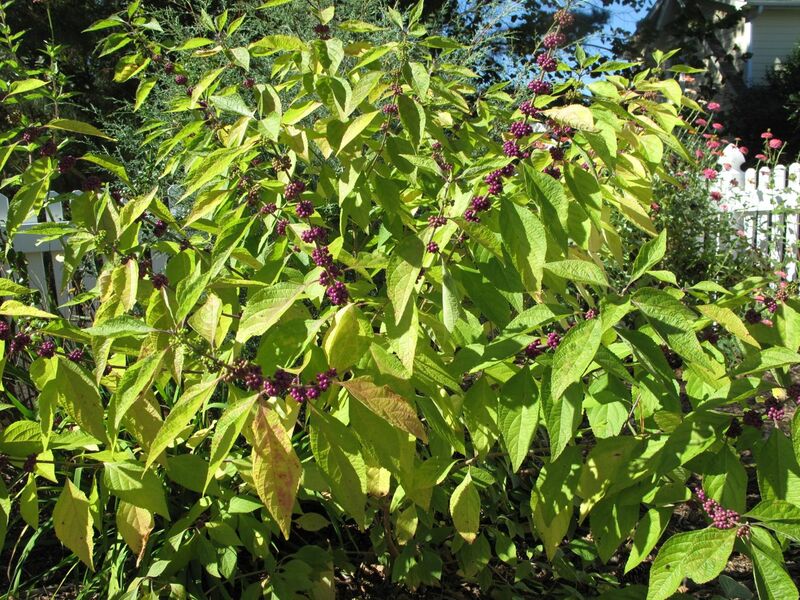 Perhaps some micro-environment in your garden could host the Callicarpa. I think it’s pretty tough once established. The Chinese version has prettier berries and form I think. I do hope the Thyme will fill out well. Thanks for hosting GBFD. Thanks very much Judy. I love to bring in lavender to use as filler for little displays of flowers–whatever’s blooming looks good with the lavender. I once had a thyme lawn which I loved to bits and the insects did too, but it didn’t last very long. What’s your experience with thyme? Callicarpa americana is a pretty shrub. 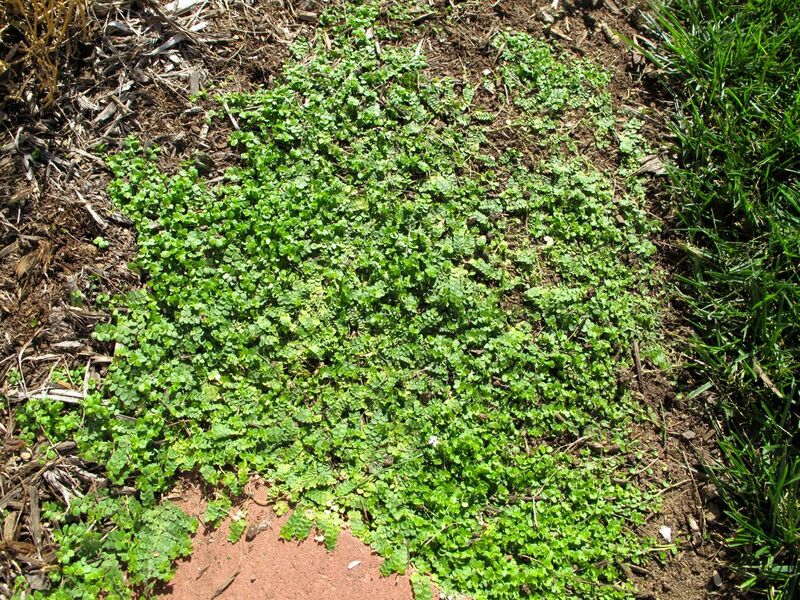 I once had thyme growing between paths at another house and I was everything one could hope for but I’ve only had partial success with it in this garden. 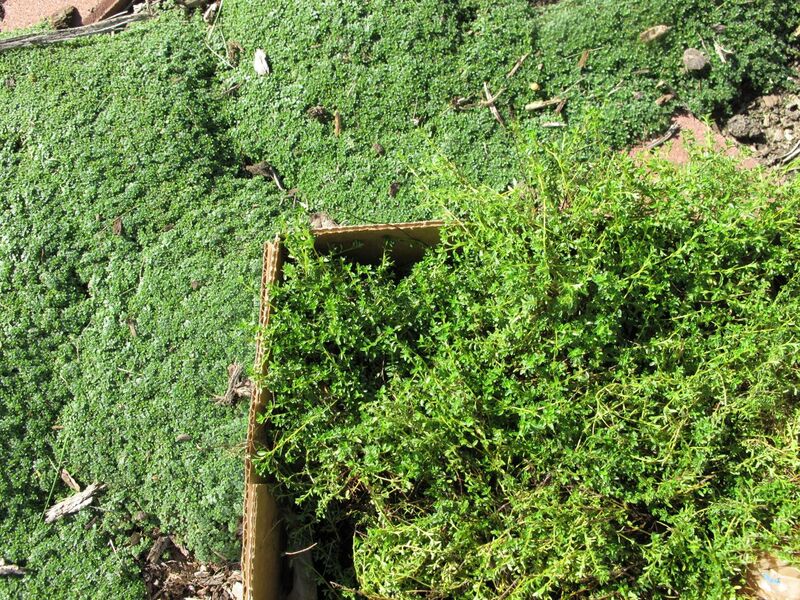 The Elfin Thyme has done great for my neighbor so I’m hoping I can piggy-back off her success. 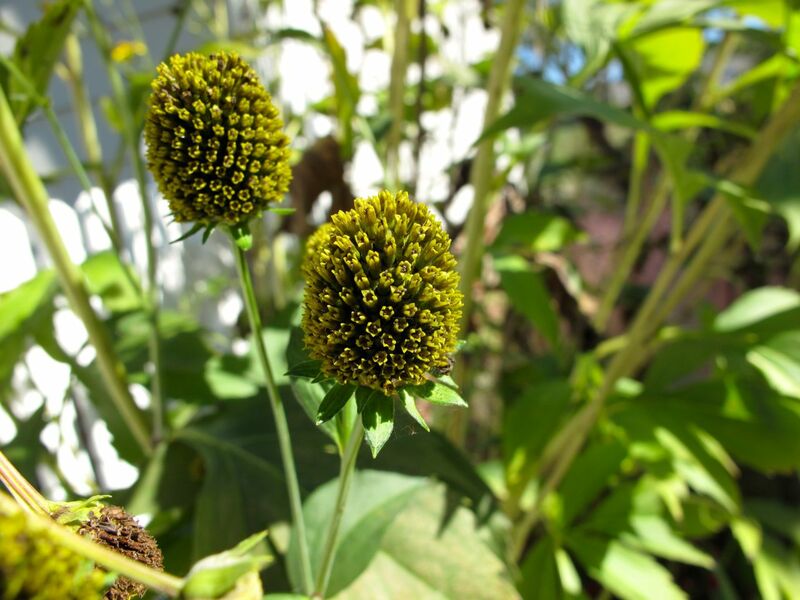 I thought I recognized that creeping plant and looked it up….. Yes, I have just planted one! Only mine was called Pratia pedunculata, with a note that it may also be called Isotoma fluviatilis! I’m hoping it will flower all summer, as the label has promised. A very interesting little plant. And the Beautyberry is so pretty – very enviable! I’ll record that name as well. It will be fun to compare notes on it next spring Cathy. Your groundcover experiment seems to be working out well, I do like the thymes as groundcovers but never knew some kinds were non-fragrant, something to keep an eye on! What a difference on the near and far views of the blue star creeper, really does seem like two different plants! Wouldn’t you think I would have trusted my sense of smell when I bought Thyme–instead I trusted the incorrect label only to be disappointed. That Thyme never was fragrant in the meditation circle around the stepping stones, so I’m adding some more different ones as remedy. It does look nice though, such a soft low carpet. I never had much luck with thyme, maybe it’s time to give it another try. 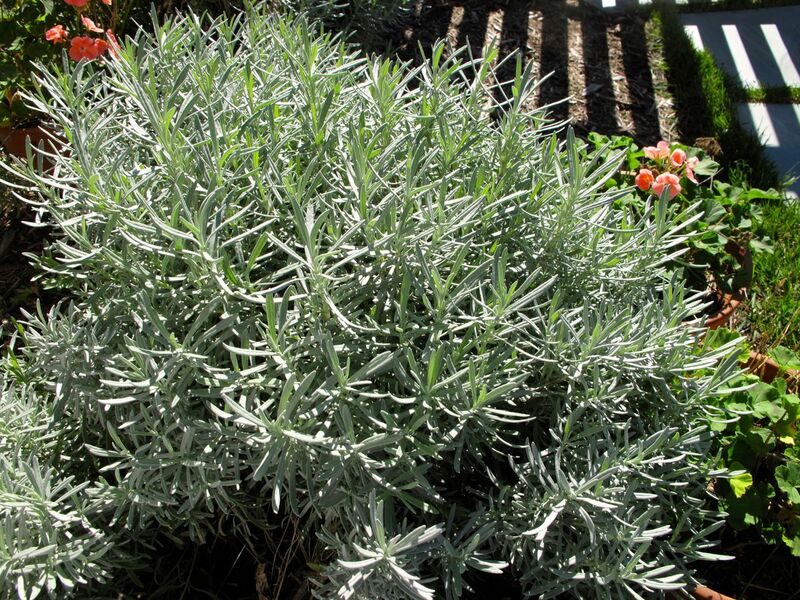 I better be careful, it might be a gateway plant into rock gardening or herb gardens…..
What a beautiful lavender, it seems to have particularly good foliage. I like the idea of different types of thyme creating a tapestry in your meditation circle. Hi Janet. I think the lavender responded well to being cut way back. It had become very woody. I found the original label for it too when cutting it back so now I know it is Dutch lavender. The thyme has been rewarding at times, challenging at others. I hope to eliminate the need for all the brown mulch in the meditation circle. Thanks for commenting today.